Join artist Dane Mitchell for a free Members talk in his exhibition "Iris, Iris, Iris". This multi-part installation considers the entanglement of our senses, specifically the ocular and the olfactory. The iris in its multiple forms – as plant, as body part, as technology, as myth – is employed as a poetic device to make connections between two ways we encounter the world: through the eye and through the nose. Dane Mitchell will be representing New Zealand at the 58th Venice Biennale in 2019. Please note: this is a Gallery Members-only talk. If your membership includes a guest-pass you can bring a friend to the talk. 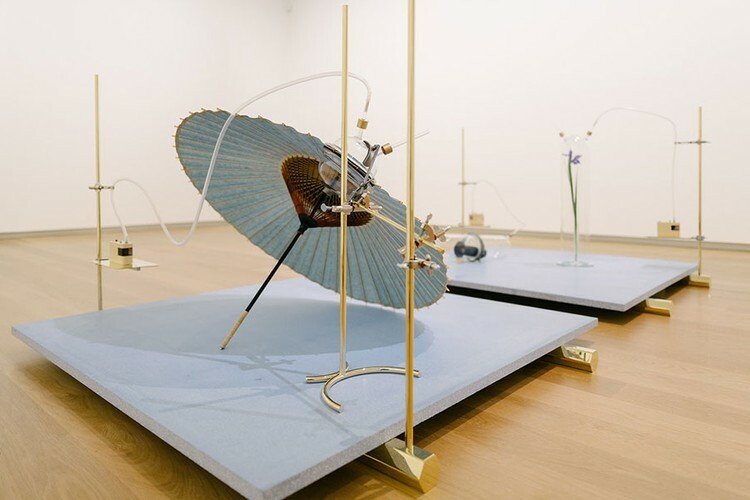 Image credit: "Iris, Iris, Iris" (installation view), Auckland Art Gallery Toi o Tāmaki, 2018.